We’ve said it before, and we’ll say it again – we love Woo. WooThemes, to be more specific. 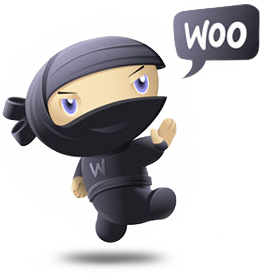 So – we’re pleased to virtually no end to announce that we’ve been added to the Affiliated Woo Workers army. What are WooThemes? They’re killer WordPress themes that just work. They’re super-flexible, super robust and super feature-packed. With WooThemes, you get a great underpinning for your site, and with Blue Dozen’s experience with WooThemes, you get killer design and the ability to customize your site to suit you, your business and your precise needs. Portfolios – photos, products, you name it. Contact forms that send mail to you without compromising your actual email address. Short Codes that make it easy to add buttons, dividers, toggles and all sorts of nifty features. Sliders on multiple pages, so you can have a product/service slider on your home page, or an article rotator on your articles page. Easy ecommerce integration. WooCommerce is KILLER. Really. Sell real products, downloads or virtual services. Nice. Massive customization options – and with us and our extensive knowledge of WooThemes, we really help you take advantage of them. Since we’re Affiliated Woo Workers, we have access to scores of support options, including direct questions to the theme developers and an army of code ninjas. We’ve got access to libraries of info – and that helps us take care of the design and know that no matter what we want to do with your site, we can get it done. We’re excited to be included in a pretty select group of web designers and developers. Check out Woo, and we think you’ll be excited, too! The Greatest Detectives of All Time: Nancy Drew What Makes a Good Design?